Family dysfunction has never been so entertaining! 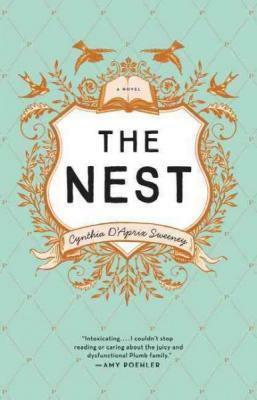 “The Nest”- a shared trust fund for the four erratic Plumb siblings- vanishes when it is used as a settlement for the victim of Leo’s (the oldest and most reckless) horrific drug- and alcohol-fueled car accident. The others counted on The Nest to pay off massive debts accrued due to unrealistic over-reliance on the expected windfall. With an astonishingly rich cast of main and supporting characters, this debut novel perceptively examines family dynamics with an affectionate and ultimately optimistic lens.